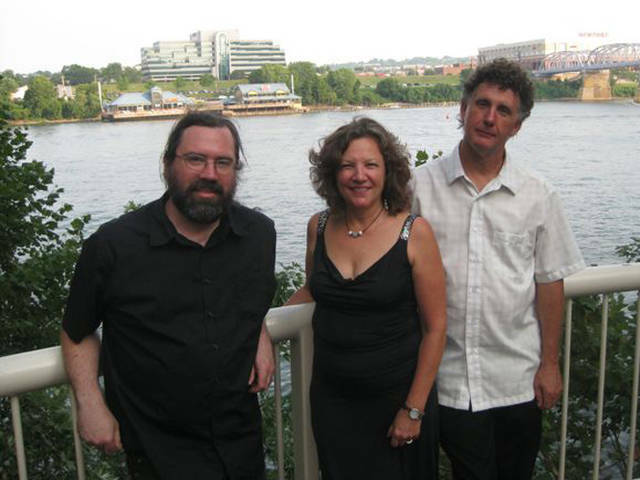 Singer/songwriter Lisa Biales will bring her trio to The Bistro Off Broadway in Greenville on Feb. 28. A part of Darke County Center for the Arts’ intimate Coffeehouse Series, the show starts at 7 p.m.
GREENVILLE – Singer/songwriter Lisa Biales will bring her trio to The Bistro Off Broadway in Greenville at 7 p.m. Feb. 28 as a part of Darke County Center for the Arts’ intimate Coffeehouse Series. Biales, an Ohio native, has been singing for as long as she can remember, beginning with performances in church as a sixth grader then progressing to participation in a wide variety of bands during her long career including a wedding band, a bluegrass band, an Americana band and a rock and roll band. She has released nine albums with her 2014 release, “Belle of the Blues” being nominated for an Album of the Year. Other members of her trio are veteran musicians Bill Littleford on guitar and Noah Cope playing stand-up bass. According to DCCA Executive Director Andrea Jordan, DCCA’s Coffeehouse Series, which offers outstanding artists performing in a comfortable social setting where food and drink are also available, has become wildly popular among local music lovers not only because of the high quality of the performers but also due to the extremely reasonable admission cost. Low ticket prices are made possible in part by sponsorship from Rodney Oda, Steve and Eileen Litchfield and The Andersons. Additionally, the Ohio Arts Council helps fund this program with state tax dollars to encourage economic growth, educational excellence and cultural enrichment for all Ohioans. DCCA also receives operating support from the Harry D. and Esther Stephens Memorial as well as funding from the Ketrow Foundation, Lydia E. Schaurer Memorial Trust Fund and the John R. and Miriam H. Knick Fund of Darke County Foundation. DCCA membership contributions also help support this series. Tickets for this concert by The Lisa Biales Trio are $10 and can be reserved by contacting DCCA at 937-547-0908 or dcca@darkecountyarts.org; tickets also are available online at www.darkecountyarts.org and will be sold at the door if any remain by showtime. For dinner reservations, contact The Bistro Off Broadway at 937-316-5000.